Summer is in full bloom with Kristin’s floral scents. The wonderful scent of summer moving in the breeze makes you never want it to turn into fall. 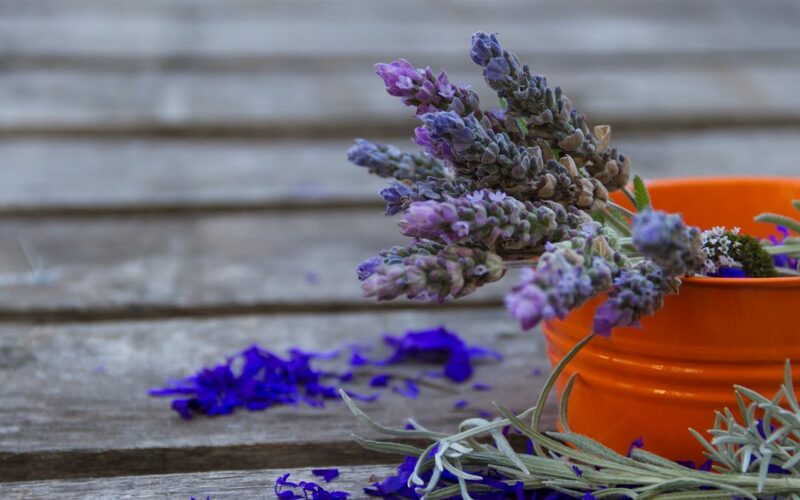 When you’re not swaying on your porch swing taking in the fresh air, bring the refreshing fragrances of summer into your home with our line of Floral Scents. Become immersed in a wonderful blend of sweet berry goodness and creamy vanilla. Lavish yourself in two summer favorites blended to create a refreshing, clean scent. Enjoy the scent of delightful fresh lilacs in full bloom on a warm spring day. A sweet bouquet of blended summer flowers and mandarins create the ideal scent for a romantic summer evening. Ignite your olfactory senses with an irresistible bouquet of cascading magnolia blossoms and green foliage. Enjoy the essence of juicy red pomegranates with a whisper of spices and lively citrus notes. Bask in a seductive blend of musk and floral infused with apples and fresh citrus. A blend of sweet pea with watery pear and wild lily perfectly captures the floral elegance of the summer season. Relax with the delicate fragrance of ripe forest berries and soft sensual musk. Enjoy a soft and delicate fragrance featuring a citrus and floral blend. The ultimate summer blend with geranium and wild rose topped with hints of fresh leaves. All Kristin & Co. candles are all-natural and soy-based, so you can enjoy our floral scents knowing they’re safe for the environment and your family’s health. Ready to begin enjoying our floral scents? New customers get 50% off their first order with promo code: 50%OFF. Get ready for a floral summer today! Planning a wedding? Custom labeled candles are a wedding favor to give to your guests as a way to remember and commemorate the special day. Candles are among wedding decorations and favors that last well beyond the ceremony and are universally liked. In other words, they’re a great choice for a big, diverse group. Candles can double as a decoration and a party favor. We all love candles and a label will make your guests remember the day every time they burn it. Kristin and Company’s custom labeled candles are also a great reception decoration and table topper. Our candles are ideal for wedding decorations and favors because they are made from soy wax, which burns at a lower temperature making them safer than traditional paraffin candles. This is an important consideration for guests with small children. Love Spell and Soulmates scents are the perfect scents to celebrate and remember your special day. Another choice you can’t go wrong with if you aren’t sure which scent guests might like is unscented candles. Love Spell is a sweet bouquet of blended summer flowers and mandarins. Flowers – The sweet, refreshing smell of a bouquet of flowers. This is sure to remind guests of all the flowers surrounding the ceremony. Mandarins – The sweet, citrusy scent that heightens awareness, often added to floral scents. Originating in China, mandarins are tropical and sub-tropical fruit. 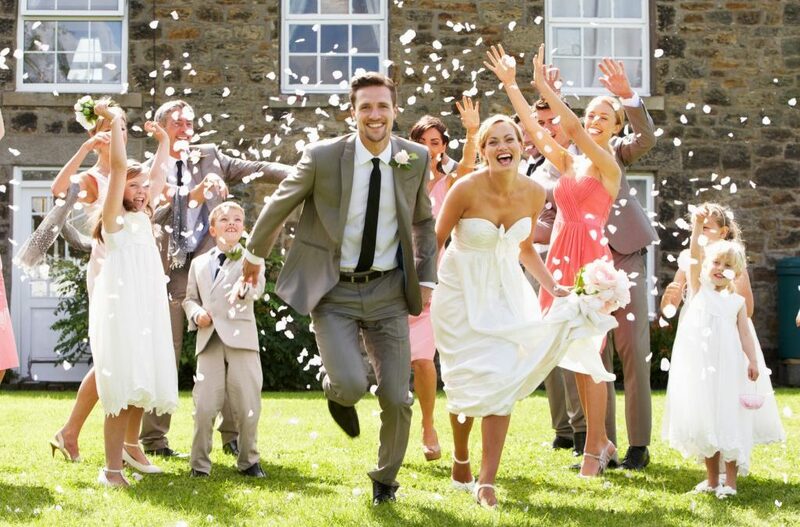 This reminder of sunny weather is a perfect match for a summer wedding. Historically, the Chinese viewed the mandarin as a symbol of good fortune. That certainly bodes well for the beginning of a long marriage! Traditional Chinese beliefs also view oranges as a sign of expected positive change. And marriage certainly brings a lot of positive changes with it. Such references to good luck in the future make the mandarin an appropriate choice for wedding decorations and favors. Love Spell is available in 8, 16, 18, and 28 ounce sizes. Soulmates is a light musk with lily of the valley and sandalwood, along with a touch of vanilla. Lily of the valley – A sweetly scented flower. Adorning expensive weddings of modern-day royalty, candles carrying the scent of lily of the valley are a “sweet” compromise that’s easy on your wallet. Sandlewood – From a tree indigenous to India, sandlewood holds a dry, woody scent that reduces tension, enhances your mood, and is generally relaxing. It blends well with other scents, lily of the valley and vanilla being no exception! Vanilla – Indigenous to central Mexico, the vanilla bean now grows in multiple locations, Madagascar now being the largest producer. This rich, mellow scent is an enduring favorite that reduces stress. No wonder we insert the scent in so many baked goods. However, no need to bake anything to enjoy the scent when your guests go home with this vanilla-laden candle. Soulmates is available in 8, 16, 18, and 28 ounce sizes. Unscented candles are another good choice for a couple of reasons. Some people are sensitive to smell or have preferences for certain scents and not others. An unscented candle allows you to appeal to all tastes. Why are custom labeled candles a good idea? Custom labeled candles add a personal touch to the day and a way for guests to take a keepsake of the day home with them. They’re like the playbill to a good play. Only, in this case you’re not acting – your day is actually here! The label could simply have the bride’s and groom’s names, wedding date, and location. Clean and simple to commemorate the special day. Additonally, it’s wise to include the name of the candle and its description. This is especially helpful if you purchase multiple candles for guests to choose from. Remember, even on the largest candle, label space is limited and you don’t want the label to be too cluttered. No worries, however, because our in-house design team can help you come up with a label design. You have enough to deal with preparing for the wedding. How Should the Label Be Designed? There are so many options! Do you have wedding colors? A candle that coordinates is the perfect way to commemorate the day and tie your party favor into the day’s theme. A calligraphy script is traditional and elegant, but a modern look can be sophisticated too. Then there’s the size and shape of your labels. One element that should determine this is the size and shape of the candle it’s labeling. You want the label to be proportional to the candle. A light musk with lily of the valley and sandalwood with a touch of vanilla. Estimated burn time: 140+ hrs. Made by Kristin & Co. in Standish, Michigan. Caution: Don’t leave candle unattended. If you need help designing your labels, our in-house designers are always here to help! Contact Kristin and Company for more information about having custom labeled candles as decorations and favors for your joyous day! We’ll work with you to create the perfect custom labeled candles to commemorate that your guests will surely love. Summertime is upon us. What does that mean? Time for new summer scents at Kristin & Company! Try Kristin and Company’s new summer scents for the patriot in you: lady liberty, freedom, and fireworks. These new summer scents are just in time for the Fourth of July! Nothing is more American than the Fourth of July (OK, maybe there’s some competition with apple pie). Capture that essence all summer long with our limited time patriotic-themed scents. Kristin & Company’s all-natural, soy-based patriotic candles are here to celebrate the summer and only available for a limited time. So don’t wait to try them out because when summer is over, their availability will be as well. All Natural. Hand Poured. Incredible Scents. The aroma of the sea where she stands with a hint of flowers to remind us of her grace. The Statue of Liberty was dedicated on October 28, 1886. A gift from France to the United States, the beloved copper statue is a symbol of our freedom. From base to torch, the Statue of Liberty is 305 feet 6 inches tall! From head to toe, Lady Liberty is 111 feet 6 inches. Lady Liberty weighs 450,000 pounds. The seven rays on Lady Liberty’s crown represent a ray for each of the seven continents. From pedestal to head, there are 154 steps. Choose a seafoam green tablecloth to match Lady Liberty for a fresh interpretation of Independence Day. It’s different, sophisticated, and unexpected. Lady Liberty all-natural patriotic candles will bring the theme together. Pick up some gold miniature liberty bells and alternate bell, candle, bell, candle, bell, etc. on your table top to add some sparkle. You can purchase bells inexpensively ($0.50-$2/bell) at a craft supply store, sewing store, or online. At the end of the evening let your guests take a bell home as a party favor. Your friends’ young children will thank you … Your friends will not! Ring in another year of freedom! Let Freedom ring while basking in the light and uplifting blends of citrus and papaya with a touch of white freesia. On June 14, 1777, the Continental Congress established the U.S. flag. In 1960, our flag became the flag we know and love today after Hawaii became the 50th state in 1959. The colors of the flag signify hardiness and valor (red); purity and innocence (white); and vigilance, perseverance, and justice (blue). Inspiring the “Star-Spangled Banner” in 1814 and the Pledge of Allegiance in 1892, the U.S. flag has been flown on the North Pole, Mt. Everest, and even in outer space! Pick up some red, white, and blue streamers at a party store. Weave them together to make a textile for the table. Create a plaid pattern or a design that resembles the American flag. Purchase three disposable vinyl table clothes: red, white, and blue. Cut a strip from each, tape them together, and place a Freedom candle where red and white meet, and another Freedom candle where white and blue come together. Visit a thrift store and locate clothing made from red, white, or blue cloth. You get bonus points for clothing with stars in the pattern. Cut up and reassemble when you get home! Pick up red, white, and blue handkerchiefs for your guests to use as napkins. Use a red and white checkered cloth tablecloth for something that can be used every day, not just the holiday. Nothing says summer like a beautiful display of fireworks. Enjoy the fragrance of sweet strawberries, raspberries, and citronella. This scent will make your senses pop! In 1777, Philadelphia celebrated the Fourth of July with fireworks to mark the one-year anniversary of our country. Americans explode nearly one pound of fireworks per person in the U.S.
Find a tablecloth at a party store with fireworks as its repeated pattern. Locate wrapping paper with a fireworks design. Take matters into your own hands. Literally! Tie dye a white cotton table cloth with red and blue dye! Short on time? Buy some star-shaped red, white, and blue confetti and sprinkle it on the tablecloth. Done! The haphazardness of it is, in this case, quite charming! Have kids? Give them red, white, and blue crayons and large sheets of manila sketching paper. Even if the children are young and can’t draw (recognizable) fireworks, it will still look cool and guests will get the gist. Cut the paper left over that hasn’t been spilled on and recycle it into refrigerator art or wrapping paper. Or, think of your own use! Buy doilies in red, white, and blue and place at random on the table. Pick up some red, blue, and gold star stickers – you know, the ones you got in elementary school when you did a good job on a spelling test? Take a white tablecloth and use the stickers to create a festive pattern. Enjoy the nostalgia and have fun! Ready to bring new summer scents into your home? Get your all-natural, soy-based patriotic candles now because when summer has passed so will their availability! Want a deal on our new summer scents? Of course you do! New customers can receive 50% off their first order with new customer registration. For a limited time only! Use promo code: 50%OFF. Our patriotic candles are available only through August! 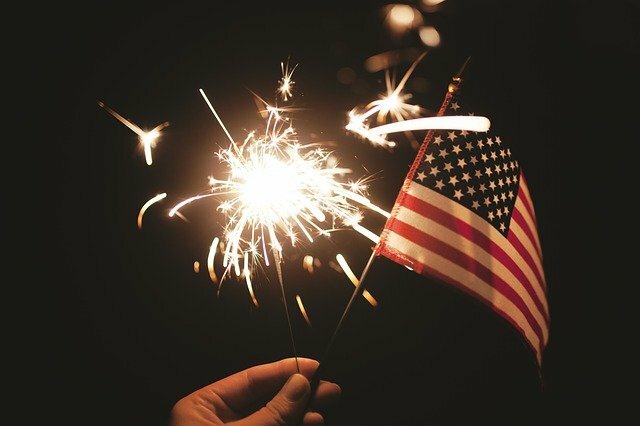 Wishing you a happy, safe, and stylish Fourth of July from all of us at Kristin & Company! Light a Candle to Celebrate Earth Day! Earth Day is coming up on Sunday, April 22! There are many ways to celebrate Earth Day. Some people plant a tree. Others join public forums to discuss how to protect our planet. One way to protect the Earth is to reduce CO2 emissions. Kristin and Company uses soy wax – as opposed to paraffin – to make our candles. This means that our candles burn clean. We even carry a special selection of earthy scents. Celebrate this Earth Day with Earthy scents for Earth Day from Kristin and Company! Soy candles burn clean. After burning paraffin candles, black soot collects on the candle jar’s glass interior as well as on top of the candle. The soot coats the walls, drapes, and furniture in your home. The result? Candle burning means more frequent cleaning is needed. Additionally, cleaning doesn’t always result in a room being as clean as it was before. Clean burning candles offer you a chance to enjoy candles without the sooty side effects. In other words, soy candles are perfect for Earth Day (and any other day!). Soy candles are the first innovation in candles in a century. As people are more concerned with the environment and their health, consumers are demanding eco-friendly solutions. However, to get there, people have to demand changing the status quo. 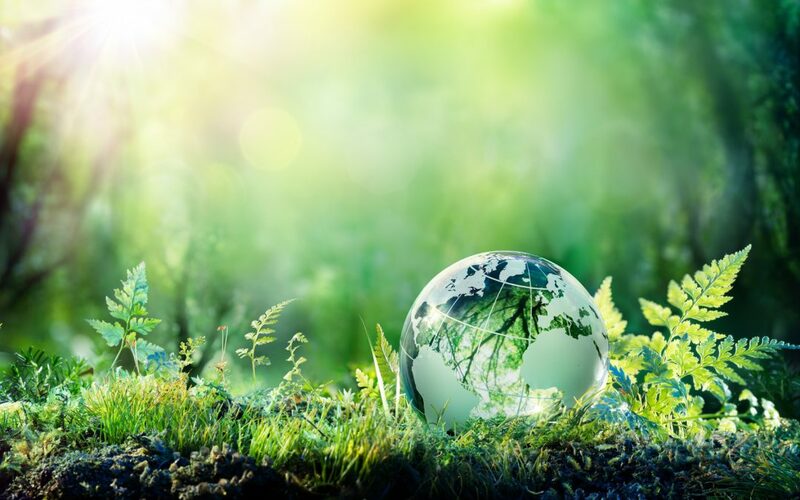 The first Earth Day was in 1970, even before the creation of the Environmental Protection Agency (EPA), Clean Air Act, Clean Water Act, or Endangered Species Act. Senator Gaylord Nelson of Wisconsin started Earth Day to bring environmental issues to the forefront of national discussion, with bipartisan support in congress. On the first Earth Day, 20 million Americans participated in demonstrations across the country. In response, congress created the EPA. In 1990, Earth Day went global, reaching 141 countries. Prompted by the momentum, two years later saw the 1992 United Nations Earth Summit. In 2015, 196 parties across the globe signed The Paris Climate Accord, an agreement among countries to do their part to hold the global temperature at 2 degrees Celsius below pre-industrial levels. Today, Earth Day is the largest secular observance celebrated around the world. We look forward to many Earth Days to come! However you decide to celebrate Earth Day, whether it’s planting trees, setting up recycling bins in your home, or educating yourself on the environment, end the day by enjoying a soothing candle that’s eco-friendly! Our Earthy collection features: spices, citronella, teaberry, strawberries, raspberries, eucalyptus, grass, lemon, lemongrass, sage, pine, fir, balsam, flowers, golden amber, patchouli, and green tea. Note: Size options vary by candle scent. With different scents and sizes, we currently have 73 options for Earthy scents. Take a walk in the woods with this blend of soft harvest spices and sweet fall aromas capturing the essence of the season. Think fruit. A fantastic summer fragrance of citronella blended with sweet strawberries and raspberries. Breathe in the air and take in nature. Freshly picked eucalyptus leaves with a hint of cool fresh air and earth woods are sure to get your mind off of work. Crisp lemongrass blended with the herbal essence of sage makes for a refreshing scent. Log Cabin is a warm rustic blend of earthy woods and spices with a fresh burst of pine. Whether you’re in a cabin in the woods or an apartment in the city, this scent will make you feel more in tune with nature. A romantic blend of delicate flowers and golden amber, this scent is perfect when you’re on your patio looking up at the stars and moon. Bring the scent of nature back home. Your walk doesn’t have to end when you sit down! With its slightly sweet intoxicating scent with a dark musky and earthy aroma, nothing says “flower power” like patchouli. The fresh scent of a northern pine forest with a blend of fir and balsam brings the forest into your home. Fresh floral fragrance as drops of rain land on a field of jasmine with a hint of grass. Enjoy the sweet refreshing smell of rain without getting wet! Teaberry is a refreshing cool mint blend with a green tea and splash of lemon. This scent will get you up and ready to take on the day. Warm and mystic with an oriental woodsy appeal and slight musk, Walk in the Woods smells just like the name suggests. Why are Kristin’s all-natural soy candles good for the environment? Let us count the ways! Shop online to order your Earthy scents for Earth Day today! Get 50% off of your first order with new customer registration. Start your tradition of burning eco-friendly candles today! Wishing you a wonderful 2018 Earth Day from everyone at Kristin and Company!